You can rarely make a mistake by getting a Samsonite suitcase; that’s just how good they are. They are one of the best luggage manufacturers on the planet, and they are constantly trying to one-up themselves. The Stryde is an example of that attempt; this is luggage reimagined to better fit the physiology of the modern traveller. 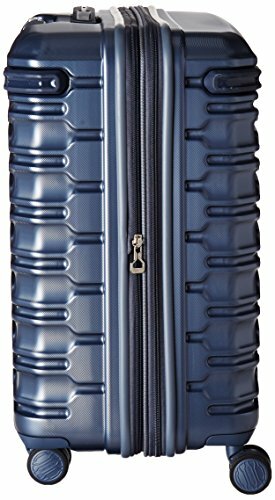 The Samsonite Stryde features innovative design that goes hand in hand with other redesigned features. A pull handle that extends to 12 different heights is just an example of the re-design I’m talking about. 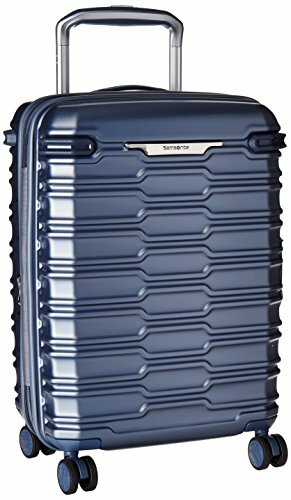 If I’ve peaked your interest, scroll down to find out what other cool innovations this suitcase features, in this detailed review of the Samsonite Stryde Glider! If you are thinking that this is just another Samsonite suitcase, you’re wrong. This is a masterpiece. The innovative design of the Stryde features a wider body of the suitcase, which in turn allows for better maneuverability. How can that be? Well, with the Stryde, its gravity center is lower than your average narrow suitcase. This is combined with a wider pull handle, and it makes the movement of the suitcase much more fluid. The Stryde Glider obviously has a hard shell, which is made of polycarbonate – one of the lightest and most durable luggage materials. It is incredibly impact-resistant, but it’s also prone to scuffs and scratches. However, the design of the shell, as well as its textured finish will make those scuffs somewhat less visible. In addition to that, the corners of the suitcase are also reinforced, for even more strength and better impact resistance. If that is not enough for you, then how about the fact that all 3 Stryde Gliders are expandable? I didn’t even notice this at first sight; the expanding zipper is very subtly placed right next to the closure zipper. This also brings me to my next point – the Stryde has zipper closure, which is basically the only thing that I’m not a fan of. Personally, I prefer zipperless luggage, because it is more secure. As for the capacities of the suitcase, Samsonite did not give us exact numbers. 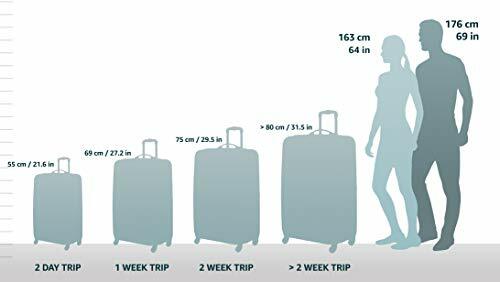 However, they did say which suitcase is best for which trip length. The carry on is great for a shorter trip of a few days. The Medium Glider is suitable for 7-10-days-long trip. The largest one is the perfect choice to accompany you on a 2-week-long trip. 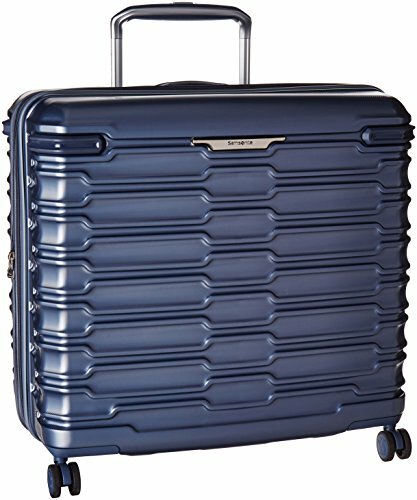 The Stryde Glider features double spinner wheels, as do a lot of Samsonite suitcases. When you combine those with the new design and wider wheel base, you get superb steering. The suitcase glides like a dream, whether you push it, pull it, or just roll it alongside you, because each wheel is able to turn 360 degrees, and glides so smoothly. This also means that there will be even less strain on your arm and shoulders, which is never a bad thing, right? There is another great design innovation when it comes to the wheels. The cartridge bearings inside the wheels are hardened steel, which really improves the mobility of the Stryde, especially compared to other hardshell luggage. The hardened bearings also mean that the suitcase will roll smoothly even when it’s packed to the brim. 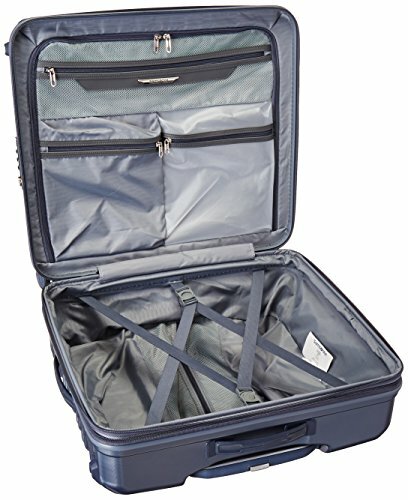 With most other luggage, the added weight of clothing inside the suitcase puts more pressure on the wheels, and they in turn don’t roll as smoothly as they do when the suitcase is empty. You don’t have to worry about that with the Stryde. The Stryde Glider is equipped with a TSA friendly combination lock, which makes it perfectly suitable for all of you who frequently fly to the United States. It is a 3-digit combination lock; the original combination you need to first open up the suitcase is 000, and then you can change it to whatever you want via an easy to set up system (which you can read more about here). Why should it matter if the lock is TSA friendly? Well, at US airports there are TSA agents whose job description includes random luggage inspections. This means that they will chose a suitcase randomly, and inspect its contents. Sounds ok, but not if they have to break open your lock! With a TSA lock, the agent can open up your suitcase, and then lock it when they are done with it. With other types of locks they have to forcefully unlock your suitcase, which can either damage the lock, the suitcase, or both. If you’re a tall person (not like me), then you’re probably worried about the pull handle, because this is quite a low suitcase. Well, there’s no need to worry. The Stryde has a very long pull handle that extends quite a bit into the air and that can be locked in 12 different positions. Yes, 12 positions! So, whether you are as tall as Dirk Nowitzki or as short as Kevin Hart, you’ll be able to adjust the pull handle to suit you perfectly. Another cool thing about the handle is that it is contoured, and so are the carry handles. This means they are super comfy in your hand, and won't punish you for carry the suitcase for longer periods. Additionally, the innovative design of this suitcase makes the weight distribution act differently (when picked up). This makes it easier to carry around than most other luggage. The suitcase opens up into 2 almost equal-sized packing compartments. The bottom compartment cannot be fully closed off but it has two pairs of elastic straps. With this "double protection", your belongings will surely remain in their designated place. 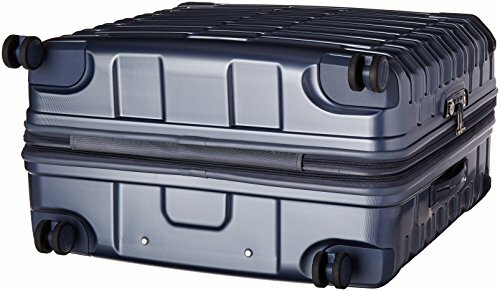 Additionally, Samsonite decided to make use of the space between the handle tubes in the bottom compartment, and added a zippered pocket there. If you’re anything like me and always try to squeeze some rolled up shirts in this space, then you’ll be delighted. 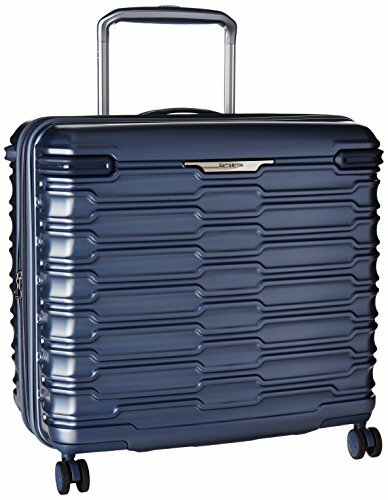 The Samsonite Stryde Glider features innovative design that not only makes it stand out visually, but also practically. The spinner wheels have reinforced bearings, which gives them better mobility and allows for easier steering. The handle is redesigned and much wider than you usually see on hardshell luggage. It can also be adjusted to many different heights, so that anyone could get the perfect height to roll it. The interior of the suitcase allows for superb organization, with many different pockets in the 2 packing compartments. And finally, the shell is made of polycarbonate, the go-to choice of most quality luggage manufacturers. Yes, this material gets scratched quite easily, but the textured finish of the Stryde will make those scratches much less visible. Body Dimensions: 20.0 x 14.0 x 9.5-Inch Overall Dimensions: 22.84 x 15.75 x 10.39-Inch Weight: 7.2 lbs. Overall, if you want to add a piece of luggage to your collection that will surely make your travel buddies envious, the Stryde is a great choice. 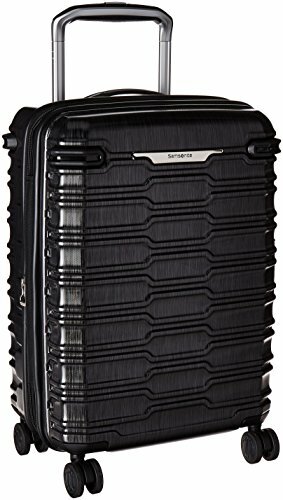 If you are not a fan of the somewhat "different" design of this luggage, then I suggest you check out the Lite Spinner or the Aeris, also from Samsonite. Or additionally, some of our other Hardcase recommendations. Use the buttons below to check out the 3 different versions of the Stryde Glider on Amazon!